Looking for Top Rankings in the search engines? Search Engine Rankings are the most effective and affordable ways to reach customers and expand your business. It’s a great feeling to see your business at the top of the list on a search engine, and an even better feeling when you see how it can affect your sales! But reaching top ranks is not necessarily an easy accomplishment. Search Engine Optimization, or SEO, is the process by which you improve your Web site to stand out in the search engines. By being at the top of the search engine list you increase your web traffic and, ultimately, your sales, conversions, and repeat business. Knowing how to achieve this takes expertise, time, and patience, and it is all achievable with professional SEO! All major search engines possess their own rules (algorithms), that they use to determine which pages match an individual’s search criteria the most. Each of these algorithms can be very unique and often times require a lot of effort to make an impression on them. There are many attributes, however, all search engines will look for these attributes when choosing the best pages. Investing time in perfecting these attributes (and monitoring them) strongly increases your visibility on the web and makes the process of finding your business and services easier for your target audience. With effective SEO, you can be assured that your site will stand out to the search engines and bring you more business. Content is very important to the engines because they look for pages that seem to relate most to the search criteria entered by the searcher. Without strong, readable content that contains important keywords, search engines cannot know what information your page is trying to present. Simple navigation on your site allows the engines to see how all your content relates to a search and makes it easier for searchers to find your page. Images and Videos show the search engines that your site contains visual information that will aid the searchers in understanding your content and finding what they need. Back links from relevant third party pages (content-relatable pages, that is) prove to the search engines that your Web site is reputable on the Internet and will greatly increase your rankings. Solid, relevant keywords tell the engines what services you provide and are extremely valuable in conducting effective Search Engine Optimization. Having good rankings in the search engines is not the only facet of a good SEO Campaign. Knowing your target audience is the first step in the right direction for quality SEO. The goal is to reach the customers you know will want your product or service and will be impressed when they find your web site and see what you offer! Creating high quality, relatable content is crucial to reaching your audience through search engines, and it will greatly impact their decisions once they reach your site. 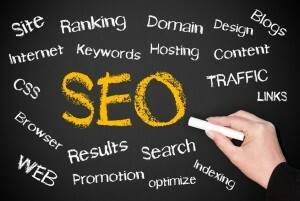 If you want regular customers, then Search Engine Optimization is for you! Surviving on search engines and staying visible on the Internet can be difficult with the growing number of Web sites out there. Settling for bottom-of-the-page listings and low rankings will never help you achieve your marketing and business goals on the Net. Increase your sales, conversions, and repeat business with a quality SEO Campaign and tap in to the most affordable and effective way to reach new customers. Don’t miss out on the secure feeling of knowing your business is highly visible to the World on the Internet. Get started with SEO today, and we guarantee you won’t be disappointed!